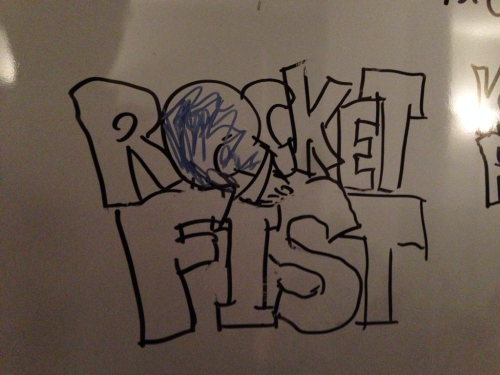 Rocket Fist - Throwing one punch at a time. TIGSource Forums Community DevLogs Rocket Fist - Throwing one punch at a time. Re: [WIP Name] Rocket Fists - Throwing one punch at a time. So yesterday was a long day for me, did just a couple of little tasks. 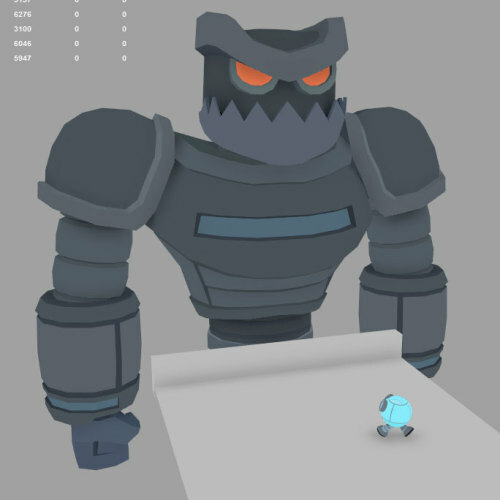 I needed some more enemy variation, so in order to get some quick extra variation I made copies of the enemy prefabs I had already made and colored them with 3 different colors, gave them 3 different sizes and made each have a different “difficulty” accordingly by adjusting the variables on their AI. You can see in the video how they behave differently from each other. I also did a couple of smaller tasks, thinking more about the multiplayer since I want to test that in full indie. This one is a really small one but I’ve been wanting to do it since the first weeks of the game, it feels really good when we manage to kill more than one person with the same throw, now the game will actually tell you you did just that with a huge message with the color of your player. Also talking about the color of your player, in the previous version the message would say PLAYER 0 WINS, PLAYER 1 WINS, and the testers were like “Wtf, who is player 0?”. So I changed it to saying the actual robot color that won, as players identify with their colors to each other when we were testing (”WHO IS BLUE? DAMN YOU BLUE!”). I also colored the message with the player’s color so it’s easier to tell in a glance. You can probably tell by the WIN message gif, but I fixed the screenfader Now it’s using GUITexture in a separate camera that renders on top of everything else. Alright, so yesterday I implemented a couple of keyboard buttons to change the amount of players in the multiplayer, so if I don’t get 4 players to play I can quickly change to a smaller amount of players. I also tested the singleplayer on the nexus 7. It did work and without lag mostly when I was playing the tutorial.. However when I passed the tutorial and it tried to generate a whole level it crashed. I think I need to optmize further if I want to playtest the singleplayer using the nexus… for the multiplayer it should be fine though… However my plans of taking the nexus 7 to playtest in full indie are gone I’ll just playtest the singleplayer whenever there aren’t enough people to playtest the multiplayer I guess. But I don’t think the singleplayer is quite ready to be playtested well yet. Re: Rocket Fist - Throwing one punch at a time. 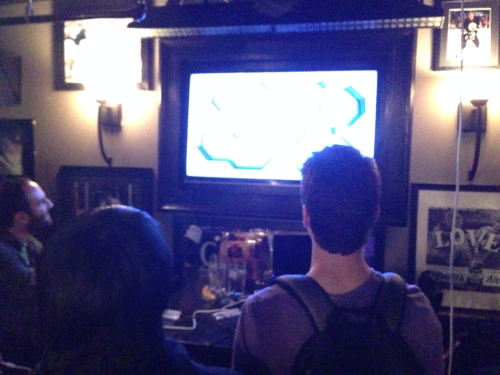 So, today was playtesting day! (Yes, I’m calling that my task for the day, deal with it!) (As a second tought, I did a couple of tasks to get it ready for the playtest, as adding buttons to reset the singleplayer and fixing a weird bug that lagged everything when I threw the fists). Whenever things died down a bit and there was only 1 person at the table I’d fire up the singleplayer and have them give it a go. It’s definetly not as appealing as the multiplayer right now, but I feel there might be something there It’s still just too early and unbalanced/untested, but I felt people did want to explore around in the rooms. Every time someone asked what the name of the game was (And lots of people asked) I’d ask them instead what they thought would be a good name. 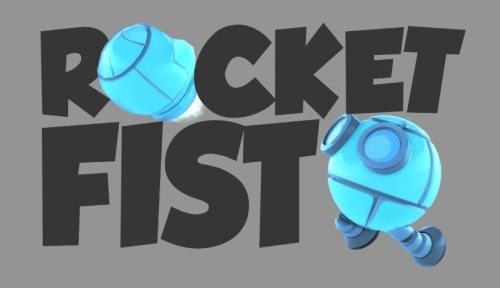 After a lot of consideration I’m picking Rocket Fist. It is a main element in the game, it avoids the over-use of Rocket Punch and it is pretty funny. Talking about funny, Chevy gave me the perfect name for a boss, UNCLE KNUCKLE! Well that is it for today I’m incredibly happy, all the time working on this is really paying off, it was so satisfying seeing people enjoying the game. It was also funny when people would ask “Are you one of the developers?” to which I would reply: “Well, I’m THE developer” xD it took some people a while to understand this is being made just by myself, “No, but I mean, how many people are in your team?” “There is no team D: It’s just me!”. Love the lil' round guy! 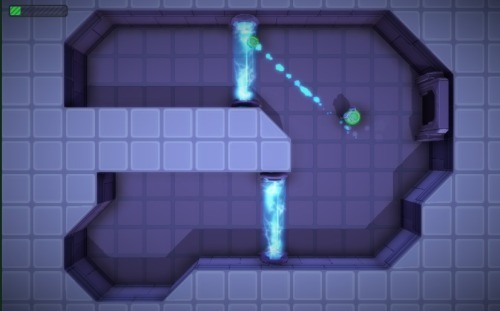 It looks quite comical I like how you implemented the levels and the room transitions, feels really tight and has that appealing zelda-esque look to them. 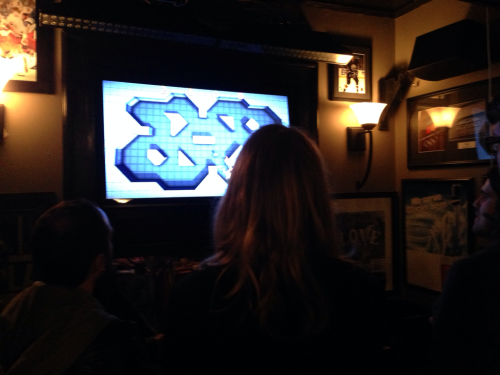 Oh and congrats on showcasing the game! Hopefully it'll go to super awesome places :D I'm really excited with this project, I never worked for so long in one single project like that Most of my other projects were at most 2 weeks projects, while this one I have been working on for about 2 months and still have a long long way to go. Today was an extremely busy day, so I only had time for one quick task. 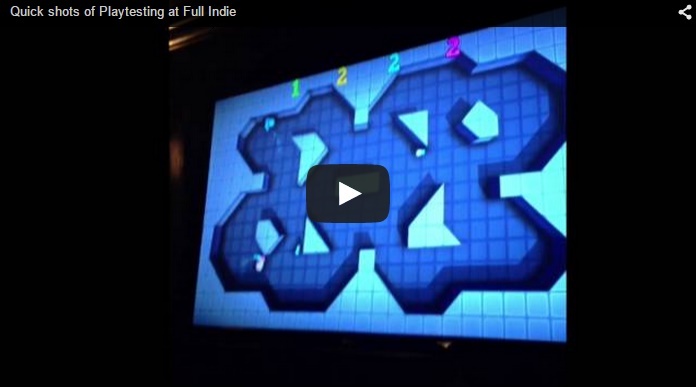 Today’s task came from Full Indie’s playtesting. Some people pointed out they had trouble discerning some harmful fists from fists they could pick up (The blue one was pointed out as being terribly similar to the grey/pickupable one.) And someone (I think it was Chevy) suggested trying to use a different trail color for the harmful fists, bringing them back to blue once they became harmless again. So that’s today’s task. So, what do you think? Is this color ok? Do you think this is a good change? It definetly makes it easier to know which weapons are harmful at the moment. 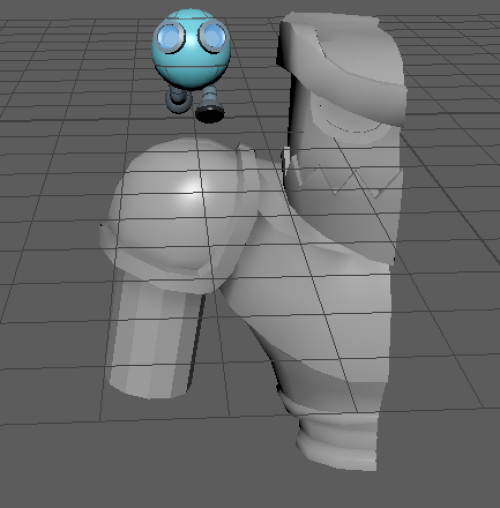 Anyway, to complete this task I also did one other small task, until now the fists in the 4p version were inside the Character Prefab, but that’s not so good if I want to affect all possible fists with my change. So I removed it from the character prefab and gave the SurvivalMode the responsability to spawn fists from a rocketfist prefab as he spawns the players. That’s it for today There’s a bunch of other tasks that came from the full indie playtesting, I’ll probably be doing a few of them in the next few days, it’s going to be a busy weekend though, I might fill it with a bunch of Marketing tasks as now I have a name and can start some of those :D.
I think clarity is good. I suspect I'd still make mistakes some, but I'm not always the best in quick action. And I still think this game looks super fun. As an aside, your gif isn't marked up right for the post. Awesome :D I'll probably keep it that way I guess. About the gif, I was waaaay too tired when I posted it, not sure where I came up with [gif] as a markup lol, fixed! Today I started a task that I’ve been dreaming about for a while… I wanted to replay the last kill in the vs mode before restarting the game. As I commented a couple of days ago, I found a promissing asset in the asset store, and today I decided to try and implement it. Tried following the documentation, the result was quite weird and buggy, my character did replay but it’s rocket disappeared whenever the character picked it up and their eyes were rolling around like crazy. I decided to take a step back and try to implement something simpler myself. I asked a classmate of mine once, Alex, about how to implement some sort of replay and he suggested a Circular Buffer Array to store the transform/rotation data, and whenever I want to replay just go through the array assigning the values back in order. That sounded like a simple enough method so I decided to give it a go. This way it was fairly quick to get the translations and rotations working, I made a Recorder.cs object and put it into the objects I wanted recorded (mainly the robots and the rocket fists). I added a couple of GetKeyUps on the Update to start recording, stop recording and playback. So I could get some control over it and test. I started by recording position, rotation and since I hide my dead players’ objects, activeInHierarchy. I had a hard time with the activeInHierarchy though, whenever a character died he would not unhide-itself, after thinking for a while I realized the script wouldn’t be running once the character got hidden, so I had to separate the recorder script from the object it was recording. Now I have a new spawnRecorder object that resides in the object that I want to record. That object spawns a new game object, attaches a recorder component to it and parents it under a new ReplayManager script. This one in turn keeps track of all the recorders and the play/record/pause logic. Now, I got those 3 basic elements recordable, I feel it’s going to be a lot of work to get all the elements needed recordable (I probably want to get the particles to replay as well, the material of the fist since it changes as it goes, the particle color on the trail since that also changes, and more.) No idea at the moment how I’m going to get the particles to replay at a slower speed. Well, besides the replay stuff, today I added a quick “Esc” developer menu using OnGUI just so I could send one build for playtesting instead of 2. By pressing Esc the user can pick between Arena 2p, 3p, 4p and Adventure. Sent that to a couple of friends to try and found out that introduced a couple of bugs since it kept the same GameManager between scenes. Keeping the same GameManager is intentional and needed, so I fixed the bugs making sure that the GameManager can persist between different game-modes without a problem. I need to get a trailer up to submit for a festival of sorts back in my home-town before the 31st, so during the weekend I’ll probably be doing tasks related to that. Circular buffer seems wise. I might try to look at capturing the whole game state (where immutable things don't need copied) for each frame, though, instead of trying to place recorders individually on things. And if the game state includes particle positions, you just play back like a movie at whatever rate you want, including interpolation. However, sounds like the issue is conflict with the systems you are using from Unity, maybe? I know almost nothing about Unity, so I can't give advice there. Yeah, I don't quite know how I could do that in unity O.o but I think the way I'm going about it will produce a good enough result, hopefully. Alright, so I need to get a trailer together for the game in order to submit it to some sort of festival back in my hometown. The deadline for that is next tuesday, so I’ll have to throw something together really quick. For that, I want to get some more artwork/a better looking environment in there. 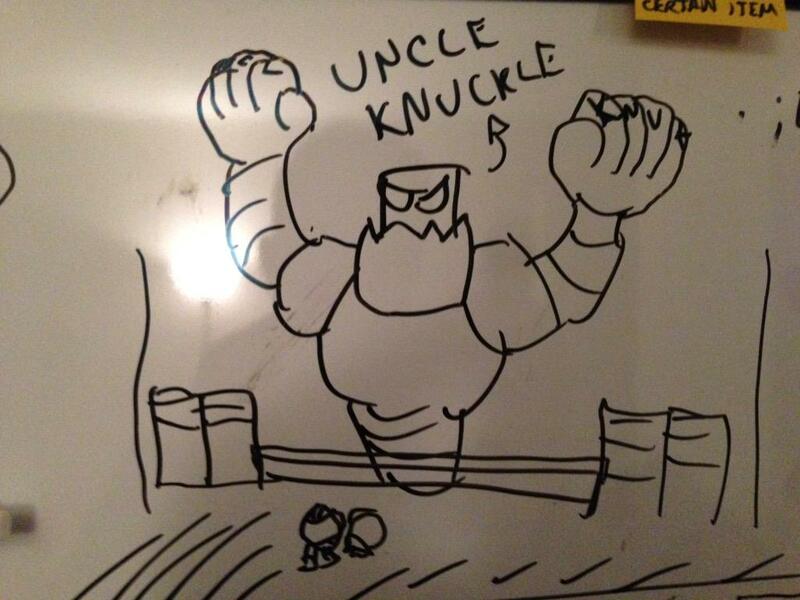 And of course, it would be really cool to show a boss in the trailer, so that’s where Uncle Knuckle comes in. 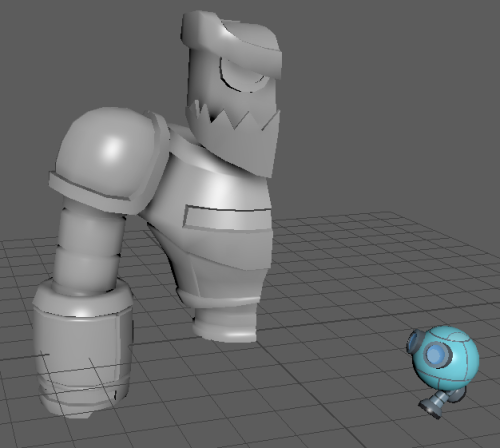 His boss fight will be a fun one to make, we’ll be fighting part of it against his hands, part of it against his head, he’s so big in relation to the player it will be quite interesting to interact with. Another thing I was messing around with today was a logo. I experimented around with a couple of things but I’m still not happy and I don’t quite know what to do with it. Well that’s it for today, hopefully tomorrow will be a more productive day, I really need to get this trailer out soon. 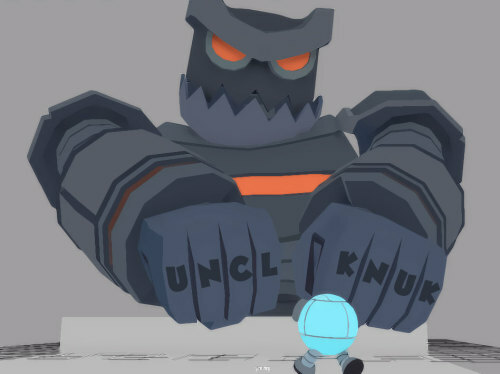 The UNCL KNUK on his fists will star the fight lit up, and will serve as a health bar of sorts, turning off one by one as you damage him. I’m thinking of having him attack the player by hitting the ground, giving the player the opportunity to harm him. Once all the letters are out, his hands would be destroyed, making him fall into the arena, at which point the player would fight his head. 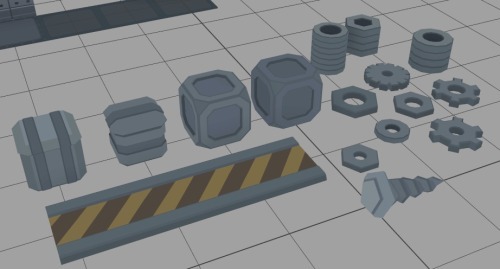 Meanwhile, I started making some smaller decoration props for the environment, up until now the environment only had 3 elements (1 floor, 1 diagonal wall, 1 straight wall), it totally needs some more decorative elements. Will probably be doing more over the week. Oh, one more thing, I started both a new IndieDB page for the game. Alright, so today I got home quite tired and tomorrow is going to be a long day, so I decided to pick a couple of quick tasks to do. That’s it for today, just some quick fixes/changes. Today I went to a Unity 5 Roadshow and got the chance to learn a bit more about the new features :D The lighting system is pretty amazing, and the new Audio Mixer will make Thiago’s life waaaay easier! At home I only did a really quick task, got home pretty late. On the singleplayer you couldn’t until now recover health, so eventually you ended up dying. Today I decided to do the health pickup. Made a quick model for it and particles. The script is extended from the pickupable script I also added particle FX and soundfx call to the parent script itself and made a few improvements to it. That’s it for today, my days will be short for the rest of the week until friday. Uncle Knuckle is totally awesome. Today's little task of the day is a step towards permanence. Before as enemies died they exploded, left a burnt ground but that disappeared in a couple of seconds, and on your way back you wouldn't even know for sure if you had been in that room before or not. So I added a new burned ground that stays in place after you kill the enemy, also added a couple of quickly modeled metal pieces that explode around using physics and stay on the ground as a reminder of the battle that happened there. Did also a little change to the room manager system so I can test the rooms more easily, If I connect a prefab in a “test room” variable, all the rooms will be that same room over and over, ignoring the regular prefab lists used. So when I'm fine-tuning a specific room I can easily test lots of possible variations of it in quick succession. Another little change I made was to the health pickup I did yesterday, just fine-tuning the particle-effects, looks better now. Today I had an interesting talk about the singleplayer with a Game Designer friend of mine (Henrique Arrais), I think I'll change the combat in the singleplayer a lot over the weekend. I don't want to write too much about it right now because it's late and I should sleep, but mainly the idea is taking the damage away from the dash-bump, and having the dash-bump be a way of either: “Acquiring a throwable item that the bumped enemy could drop, which could be a less powerful throwable, possibly a one-off non-bounceable, or with a lower chance another special item”, and/or to bounce enemies into a hazard. Today I did a bunch of small fixes, but nothing big enough to make a little gif or pic of. So... Maybe I'll just list the changes? 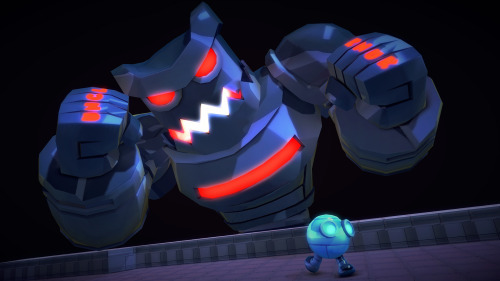 - Fixed the enemies damage range, made sure that they will only damage if you really get close enough, before their range was way too big and you'd get damaged even if you weren't visually touching them. - Sometimes a weapon would end up stuck inside a door, unacessible. 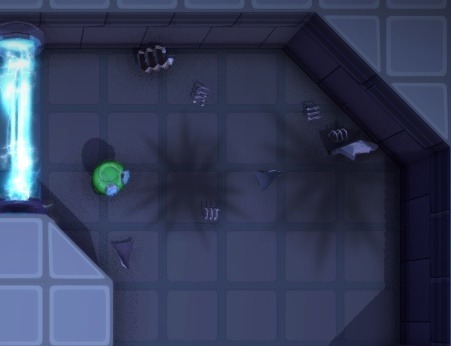 Added a collider that only affects weapons inside the door, so it won't happen anymore. 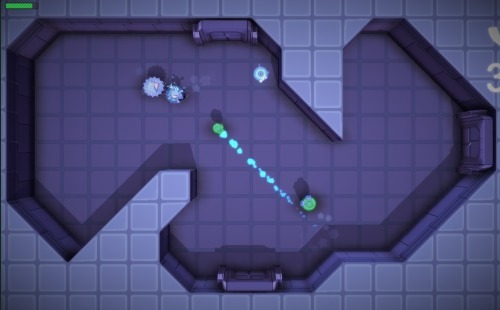 - A lot more screen shake when double kill/triple kill happens on multiplayer. 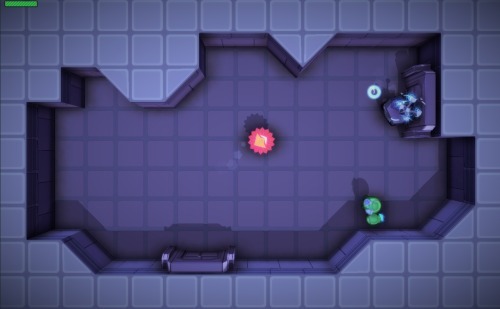 - When you enter a new room you're invincible for about a sec, enough for you to not be too caught by surprise by a enemy too close to the door. 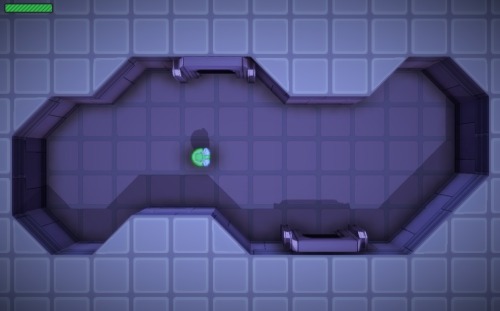 - I made the character a child of the room, and it's weapon becomes a child of the room when it's unnatached, so it will get hidden and deactivated when you leave the room, this way it will stay in place if you change rooms instead of drifting off into infinity since the room was hidden before. Same also is being done now with the pieces spawned when enemies die. 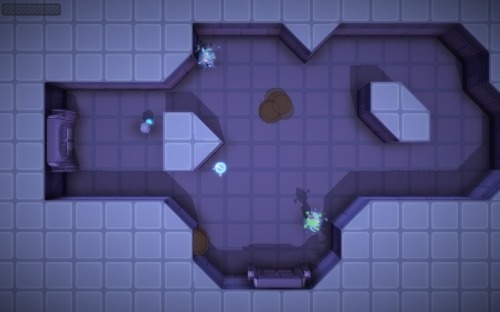 - Now enemies have a chance of dropping weapons/health pickups when they die. Thiago, my Sound Designer, was asking for it, he's been playing the singleplayer quite a lot and enjoying it, but he was missing a health pickup xD. I've never really known what to put here. Can't wait to play this, every new feature looks so sweet! 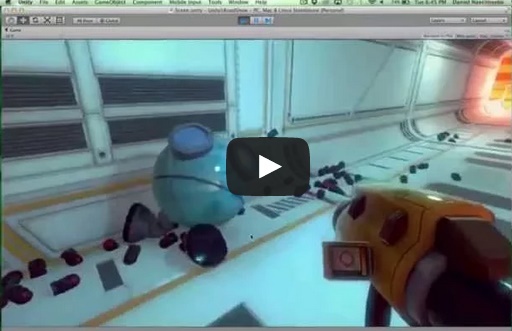 Unity 5 thingy looks very neat too. Today I had more time than usual, so I started off by doing a couple of quick tasks, I made a couple more robot pieces to explode from enemy deaths, implemented some of those to explode in the multiplayer player deaths and made a little script to randomize the scale of the burned ground that spawns from death robots. Next up was something that has been on my task list for a long while, some sort of indication for pickupable weapons. That's something that I would definetly need to identify the pickupable scrap weapons in contrast to the junk that spawns from dead enemies just for permanence's sake, but it would also help on the multiplayer to more easily identify straggler weapons in the set. So I made a little particle effect that rotates around the weapon and implemented it in the code so it would appear if the speed of the weapon went low enough with it being pickupable. After that I went on to actually create the “scrap weapon”. My idea for the scrap weapon is it being a weaker one-off weapon that wouldn't bounce or be reusable. 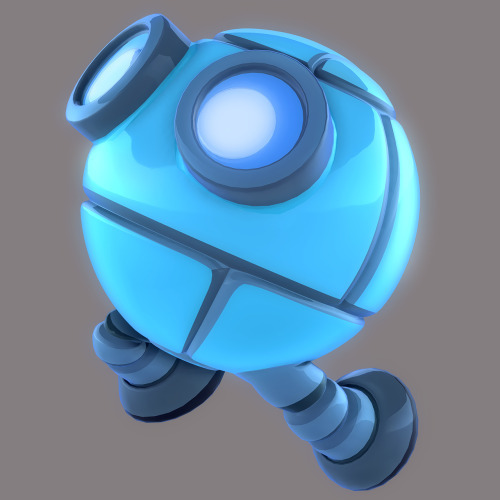 The player would be able to obtain it by dash-bumping into enemies in the singleplayer and it would be stackable by collecting more than one. Each extra pickupable scrap collected while holding a scrap weapon would add visually a scrap to it and increase it's damage by 1. I extended it from the original Weapon script and overrided a couple of specific functions. For that I had to reorganize a couple of the functions to make sure I could just override the necessary part to do what I wanted while keeping the rest of the weapon logic. I made it stop and destroy it's weapon script when it hits something (or someone), making that it's parent (So if it's moving it'll take the weapon moving with it). I like the way it's looking and feeling to throw Tomorrow I'll make the enemies have a chance of dropping it at every dashbump they receive and see how that feels. I have to playtest it a little bit but I have a good feeling about this! 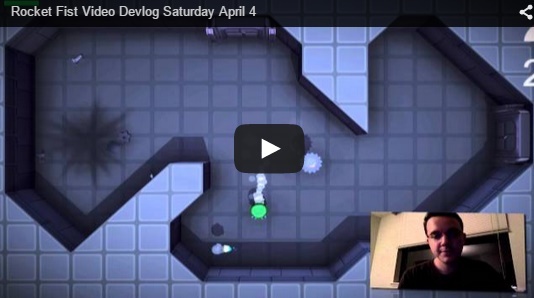 Today, doing things a little different, made a video-devlog instead of my regular written one. I implemented the metal shard weapons in the singleplayer and it is feeling quite good to play Tomorrow I'll probably work on implementing the boss. I actually took the game to be playtested at a party today and recorded lots of cool footage, but was running out of battery by the end, shut down the computer and forgot to save so... I lost it all D: Going to try and get some new footage on monday with some classmates.